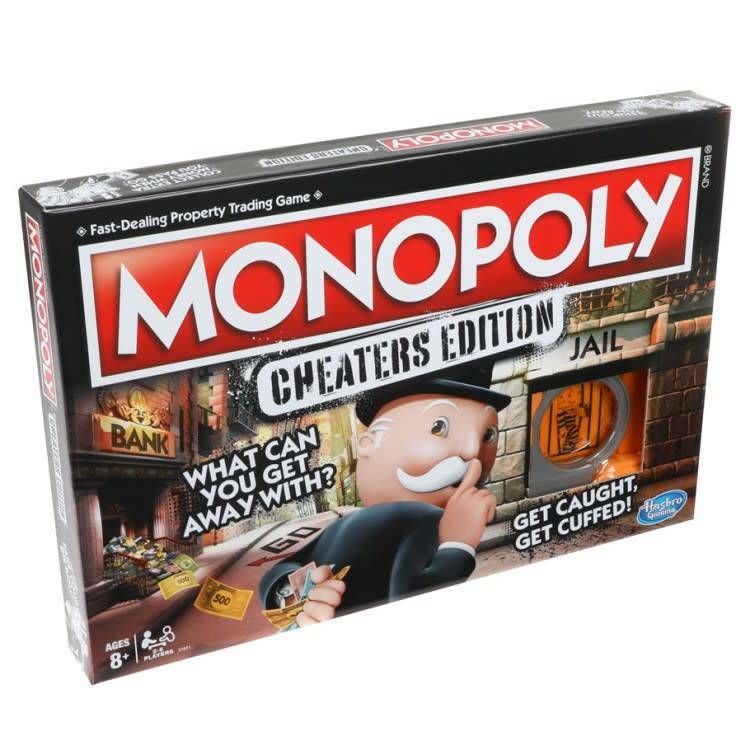 A Monopoly game that bends the rules! What can you get away with? Lean into those iconic (yet unspoken) Monopoly moments in which rules are `bent`, money is `borrowed` and funny business is welcomed. Creative suggestions on the board, cards, and rules encourage players to express their inner cheater to own it all. Complete a cheat to get a reward, but fail a cheat and pay the consequences! Pretend handcuffs leave players `chained` to the board until they`re released.